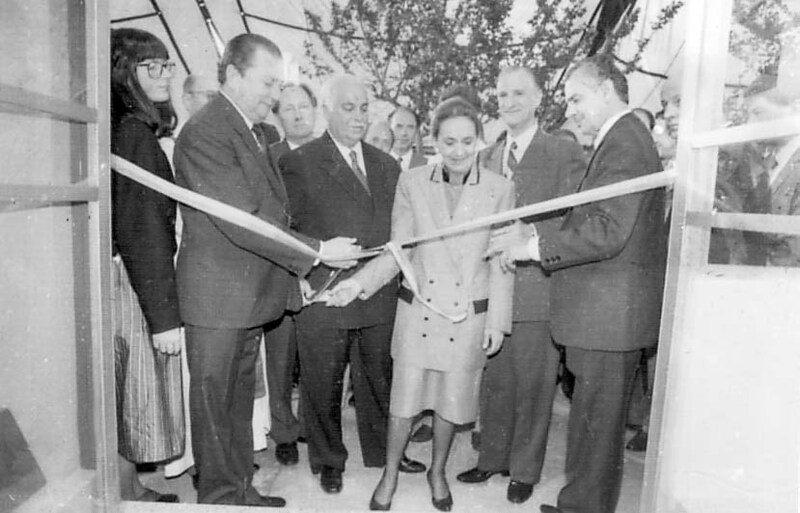 1957 - Maurício Sirotsky Sobrinho associates to Rádio Gaúcha, in the beginning of RBS. 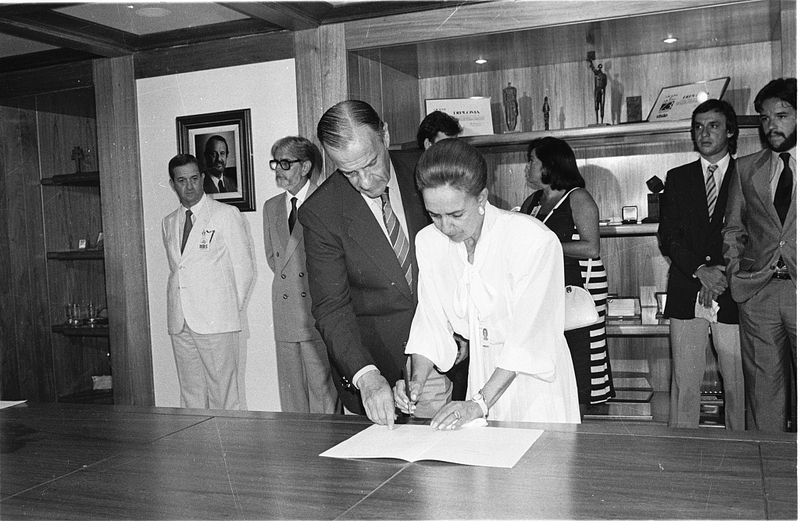 1959 - World famous singer Elis Regina, who was born in Rio Grande do Sul, signs the first employment contract of her career with Rádio Gaúcha. 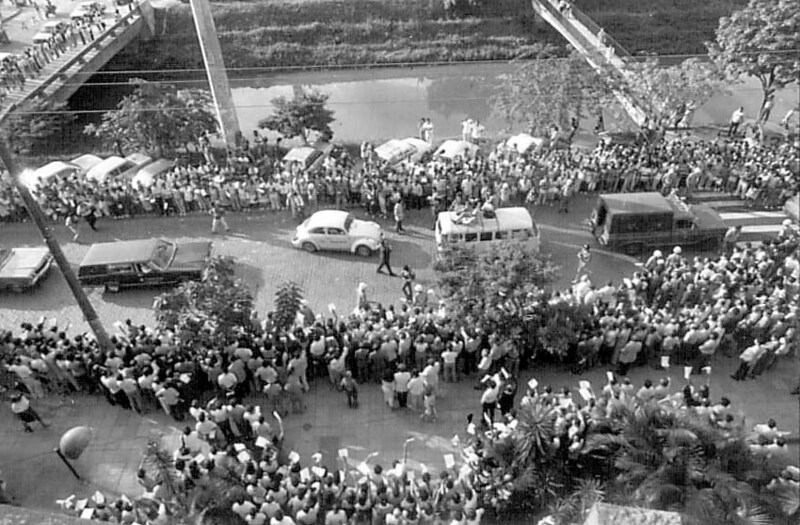 1962 - Jayme Sirotsky (R) associates to his brother Maurício (L) at Rádio Gaúcha. 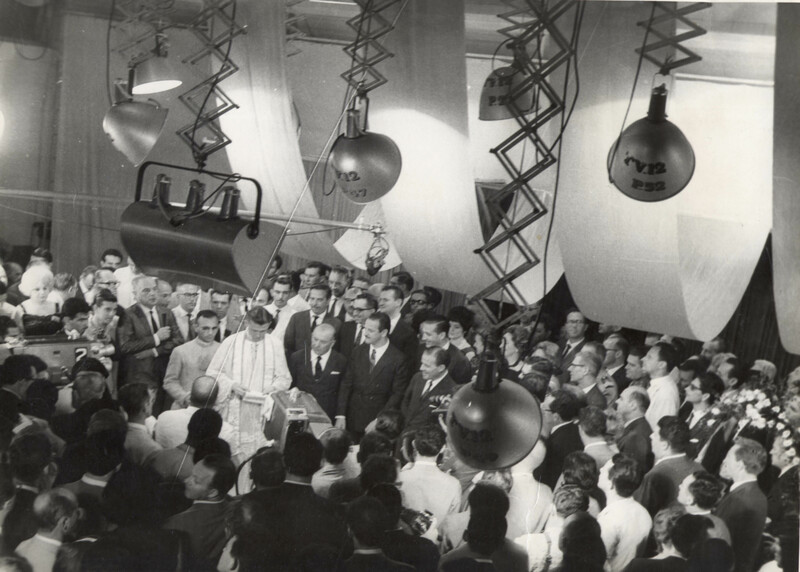 1962 - TV Gaúcha is inaugurated. 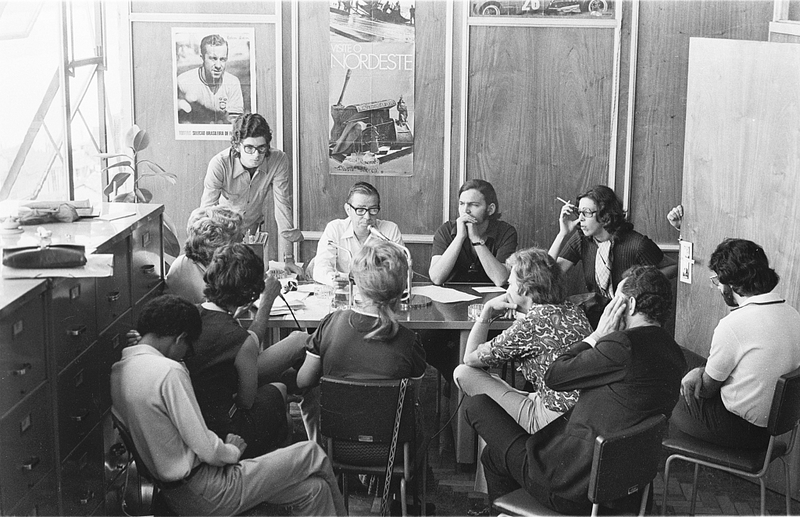 1967 - TV Gaúcha associates to the TV Globo network. 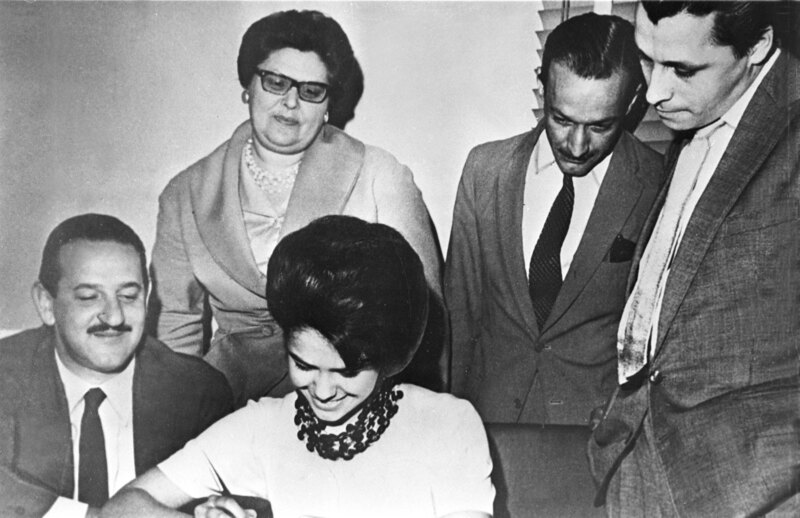 1968 - Fernando Ernesto Corrêa (RS) becomes Maurício’s (C) and Jayme’s (L) partner. 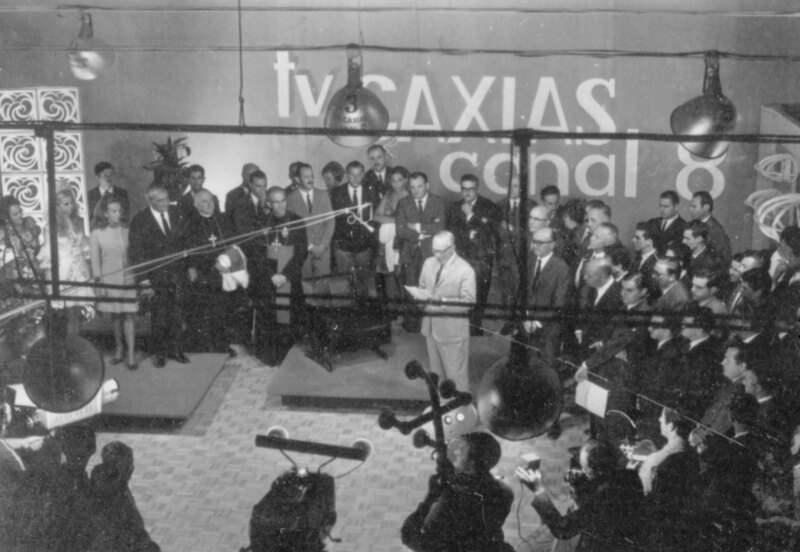 1969 - TV Caxias (now RBS TV Caxias) is inaugurated. 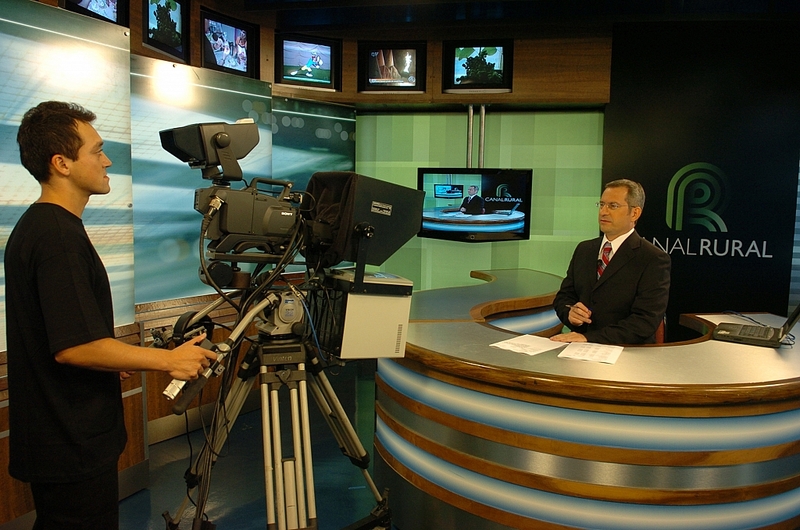 It’s the beginning of the Regional Network of Television (Rede Regional de Televisão). 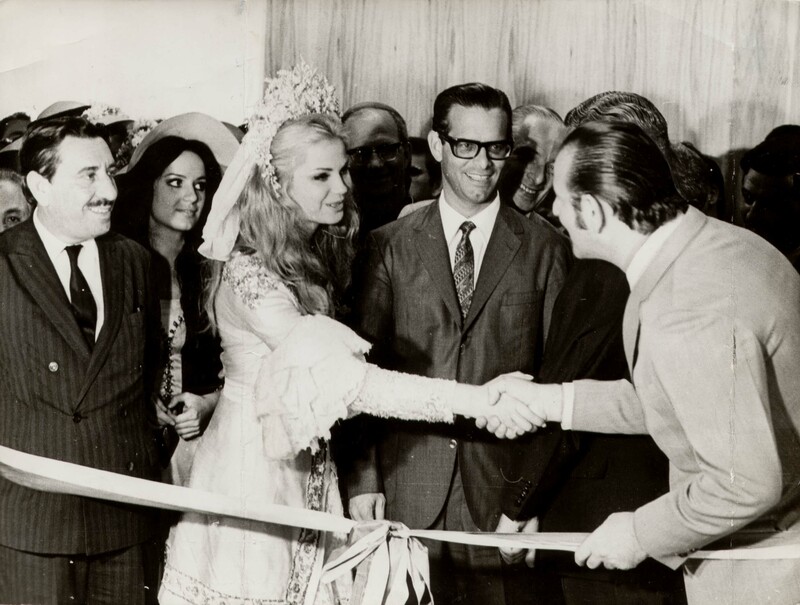 1969 - Maurício Sirostky Sobrinho salutes the queen of Caxias do Sul annual Grape Fair (Festa da Uva) in the inauguration of TV Caxias (now RBS TV Caxias). 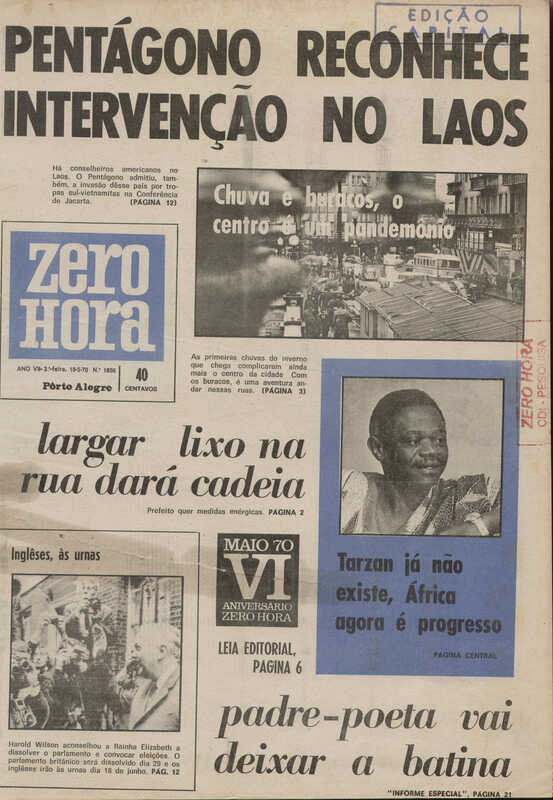 1970 - The group acquires the Zero Hora newspaper. 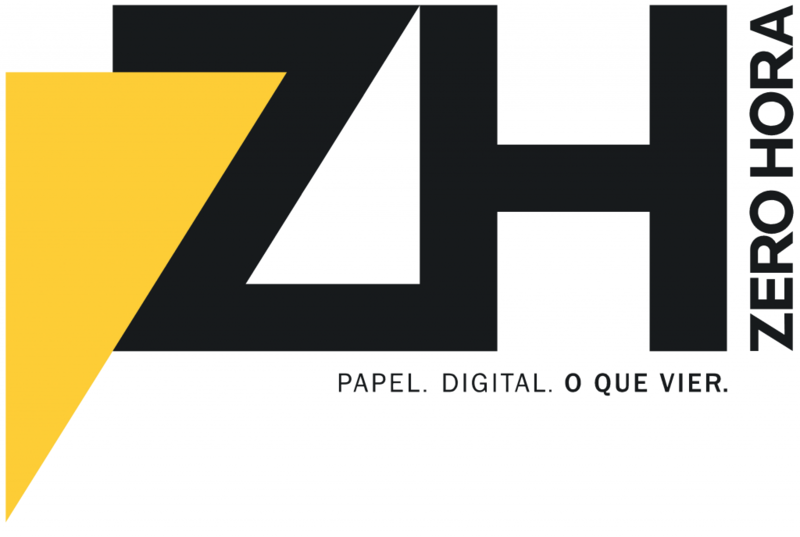 1970 - Zero Hora starts being printed in an offset printing machine and has color pages for the first time. 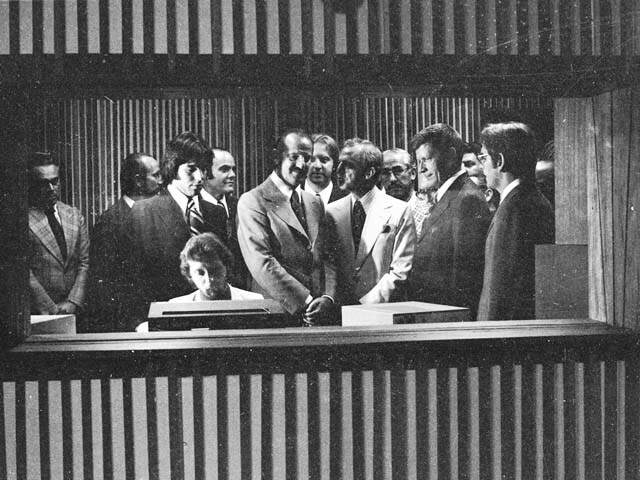 1971 - Sala de Redação is first aired. 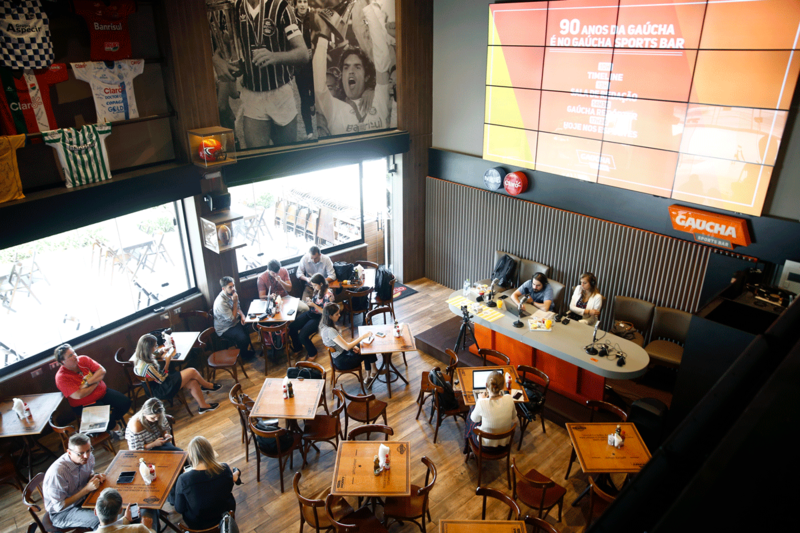 The radio sport show is now the longest running show still on air. 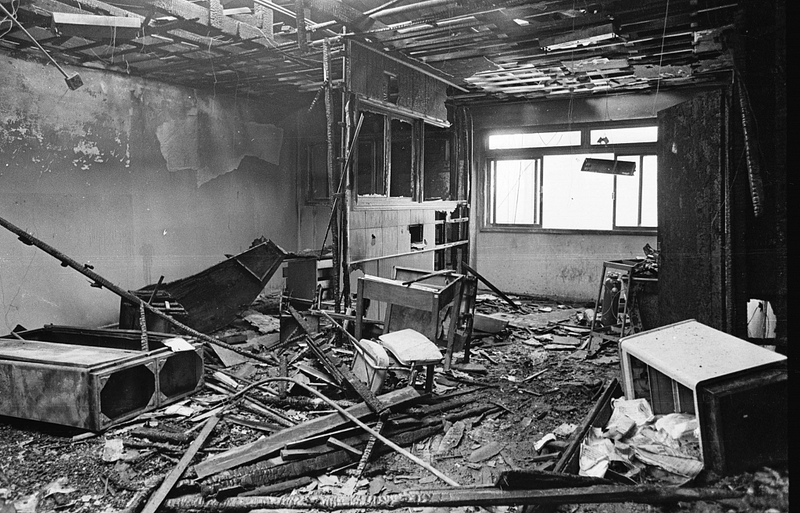 1972 - A fire destroys part of the radio and TV department headquarters. 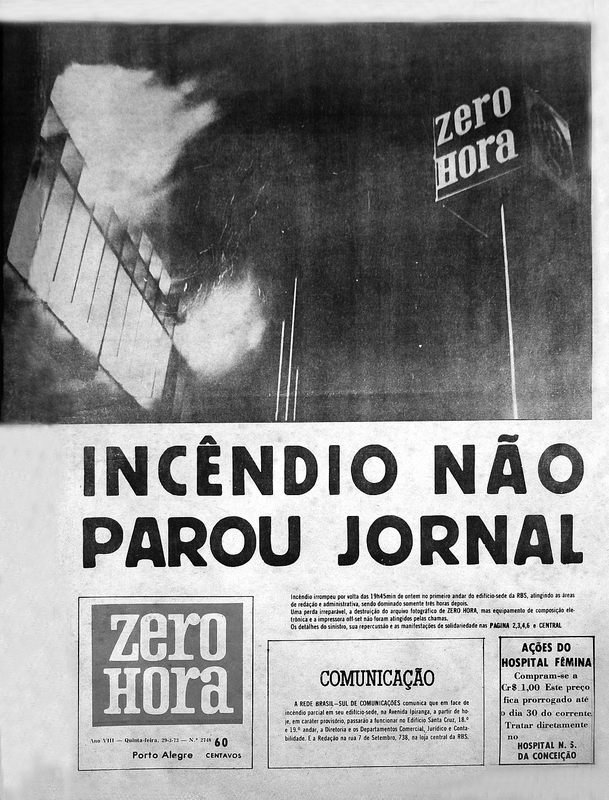 1973 - A fire destroys part of the Zero Hora newspaper building, but the next day edition is still finished and printed with the help of Jornal do Comércio (a competitor newspaper) team. 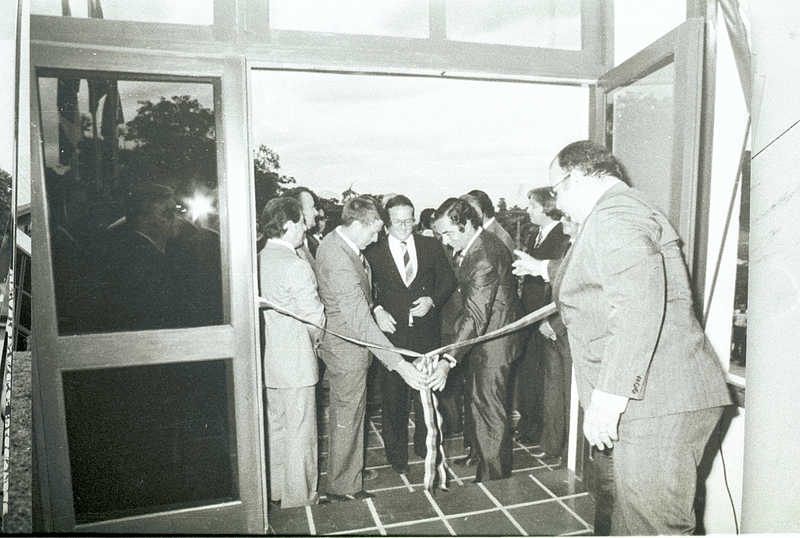 1976 - Rádio FM Gaúcha Zero Hora (now Atlântida FM Porto Alegre) is inaugurated. 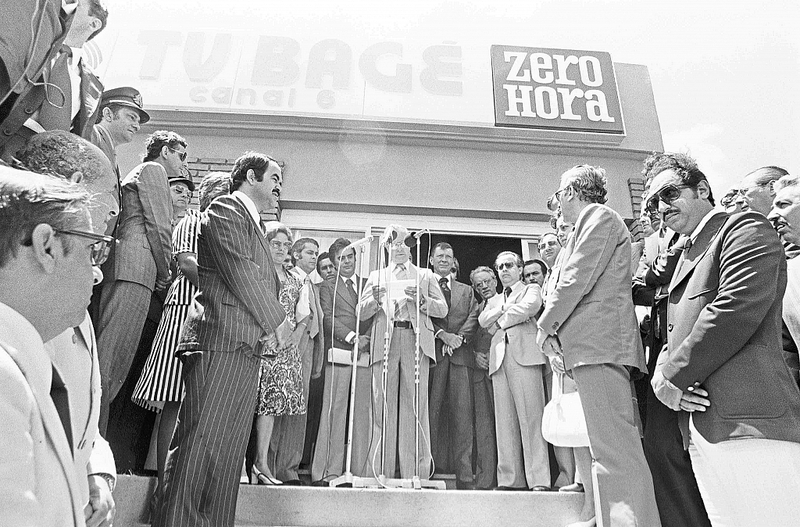 1977 - TV Bagé (now RBS TV Bagé) is inaugurated. 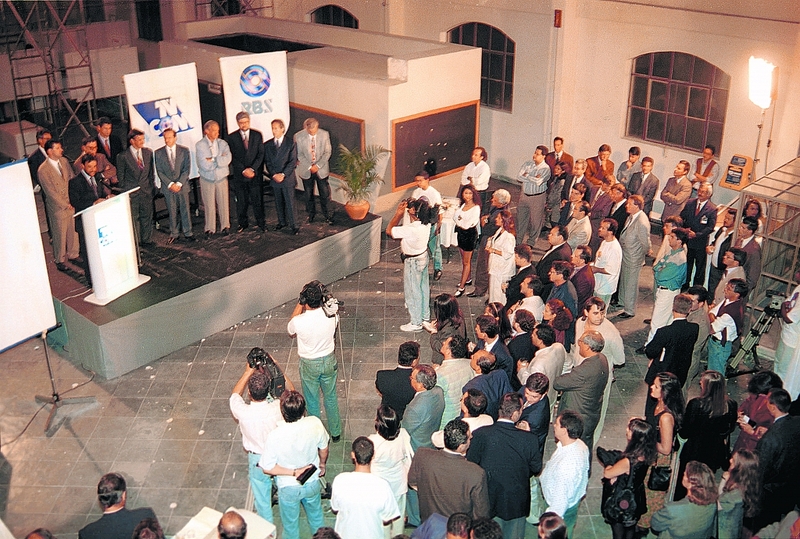 1979 -TV Catarinense (now RBS TV Florianópolis) is inaugurated. 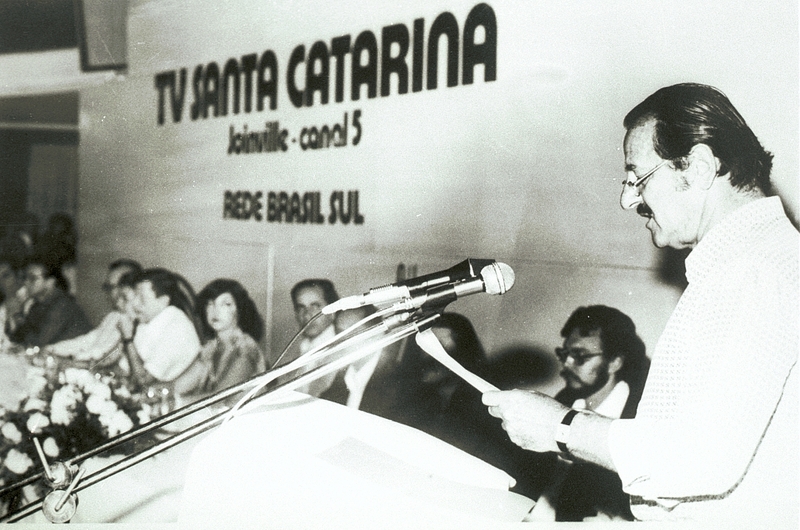 1979 - TV Santa Catarina (now RBS TV Joinville) is inaugurated. 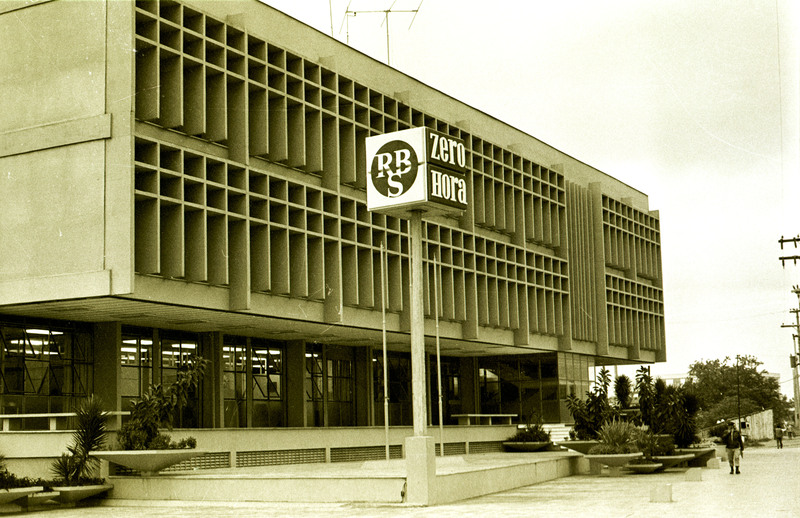 1982 - Rádio Farroupilha is acquired by RBS. 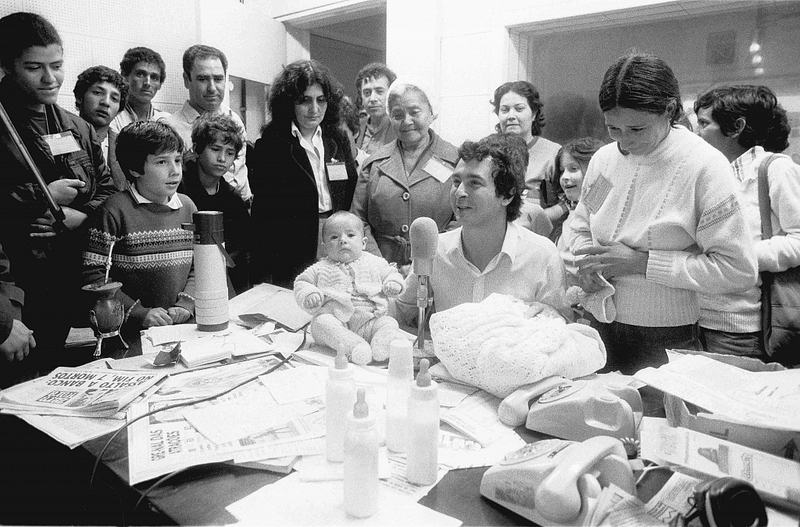 Pictured: Sérgio’s Zambiasi radio show in 1983. 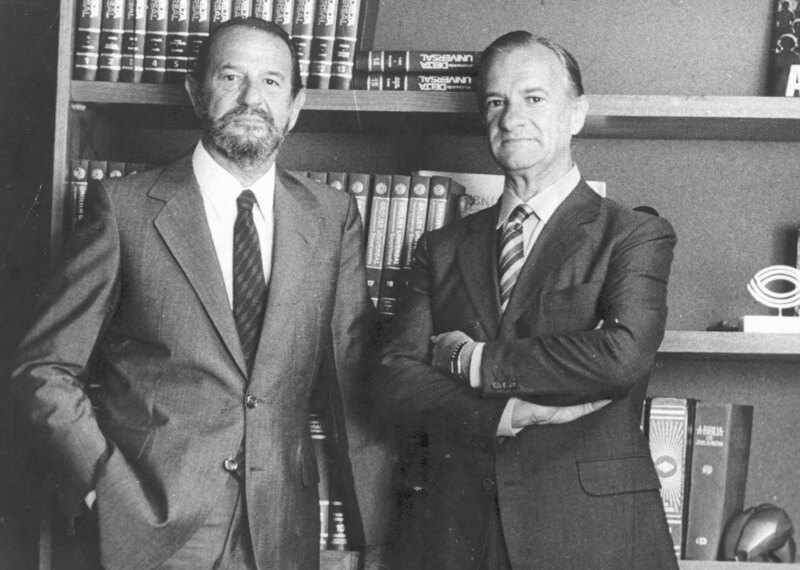 March 24, 1986 - Maurício Sirotsky Sobrinho, RBS’s founder, dies. 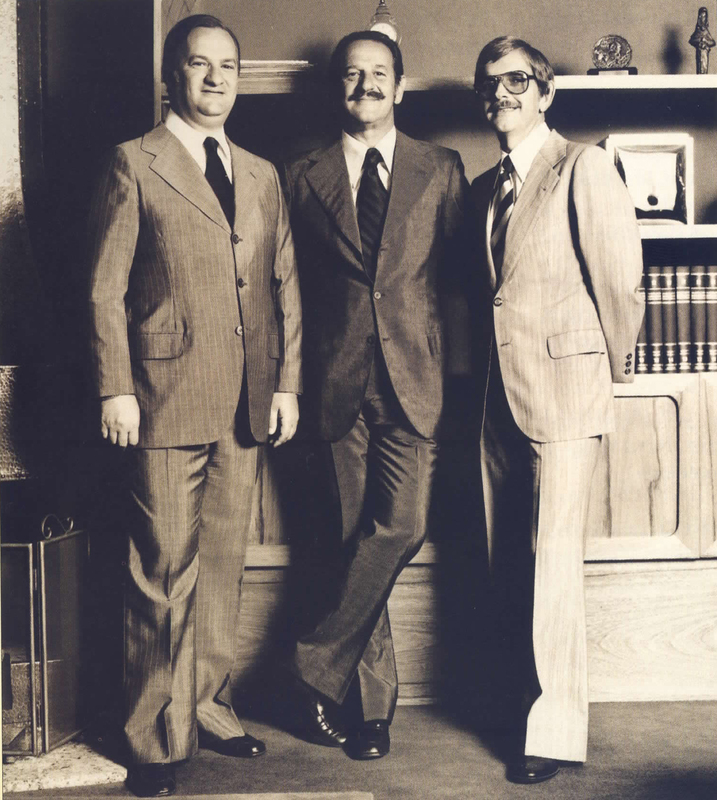 1986 - Jayme Sirotsky takes place as president of Grupo RBS. 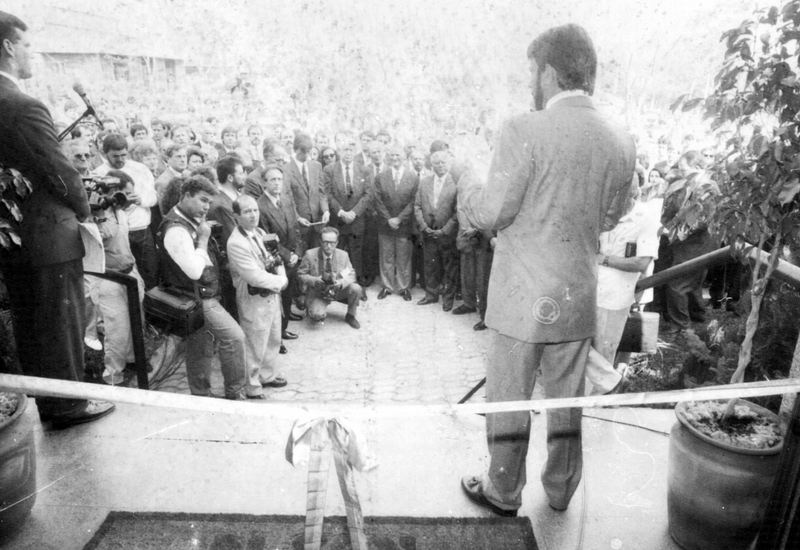 1986 - Diário Catarinense, a newspaper in Florianópolis, Santa Catarina, is inaugurated. 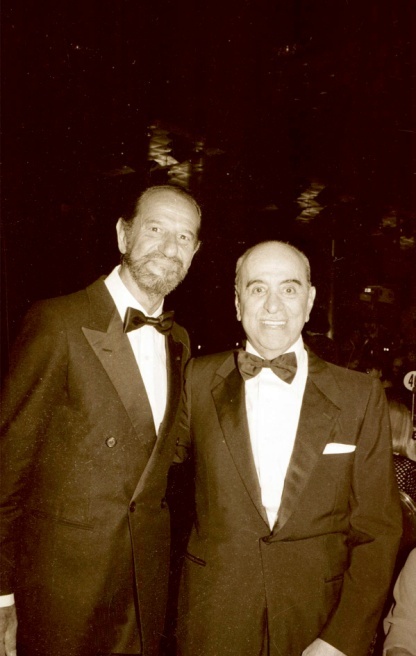 Pictured: Esperidião Amin Helou Filho (C), then governor of Santa Catarina, with Jayme Sirotsky ®, then president of RBS. 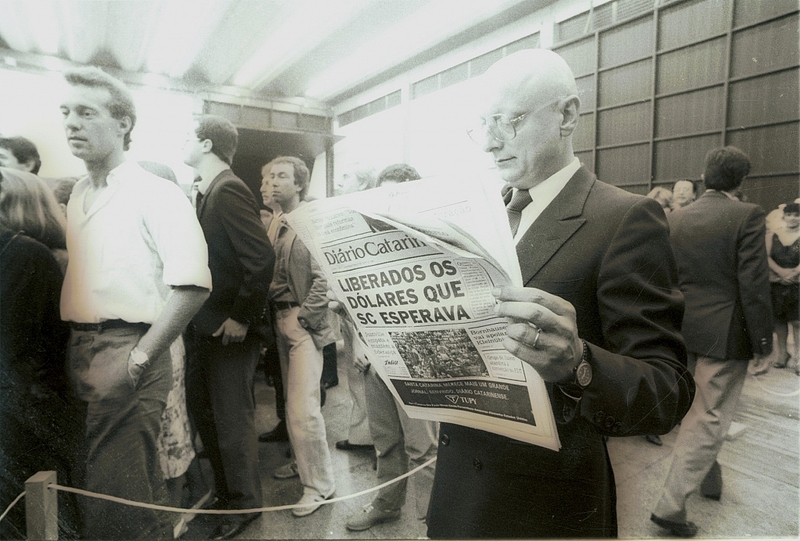 1986 - The first edition of Diário Catarinense A primeira edição do jornal Diário Catarinense. 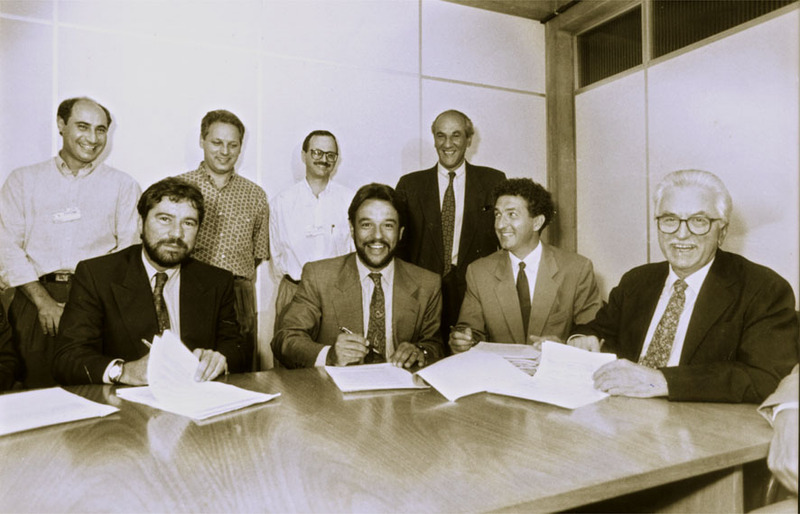 1987 - RBS Foundation, created in 1982, changes its name to Maurício Sirotsky Sobrinho Foundation. 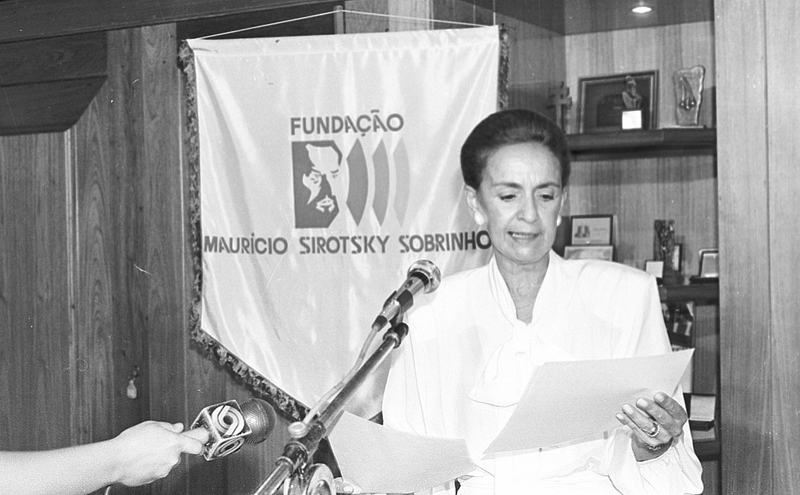 1987 - Maurício Sirotsky Sobrinho Foundation is created. 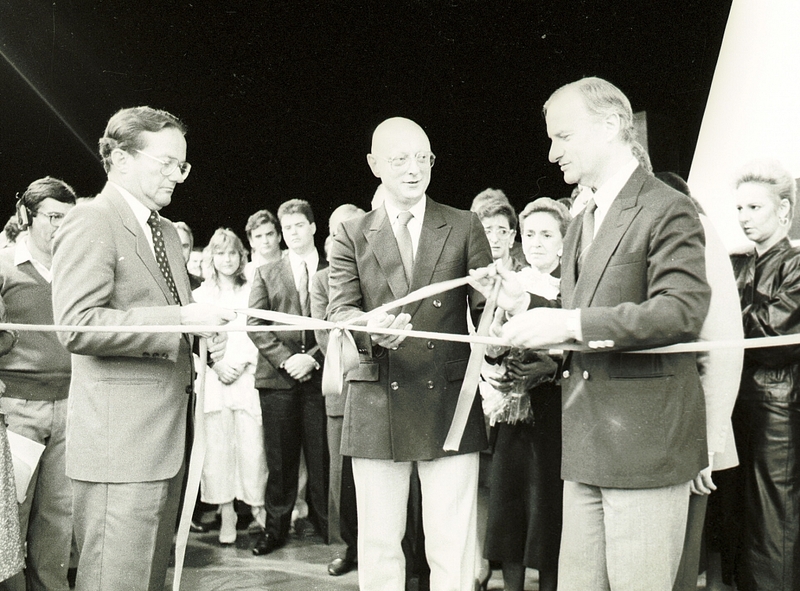 1988 - RBS TV Santa Cruz is inaugurated. 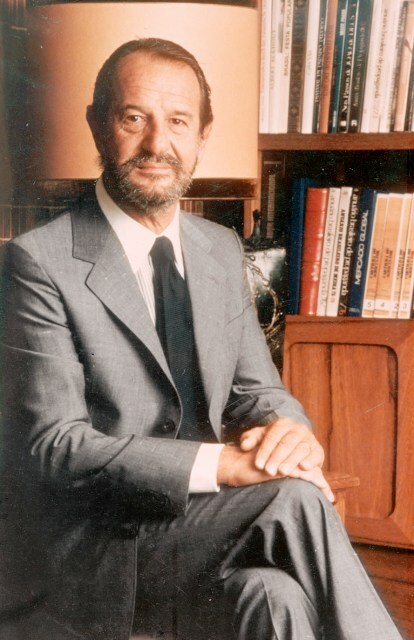 1991 - Nelson Sirotsky takes place as RBS’s president. 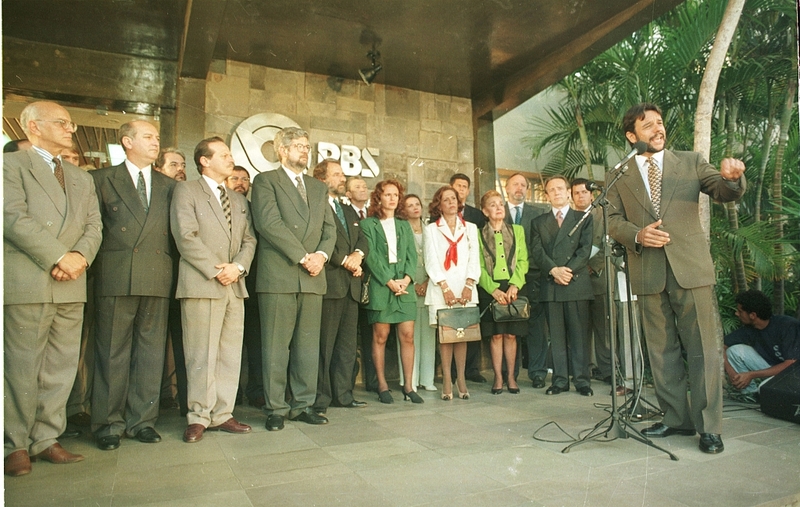 1992 - RBS TV Santa Rosa RBS TV Santa Rosa é inaugurada. 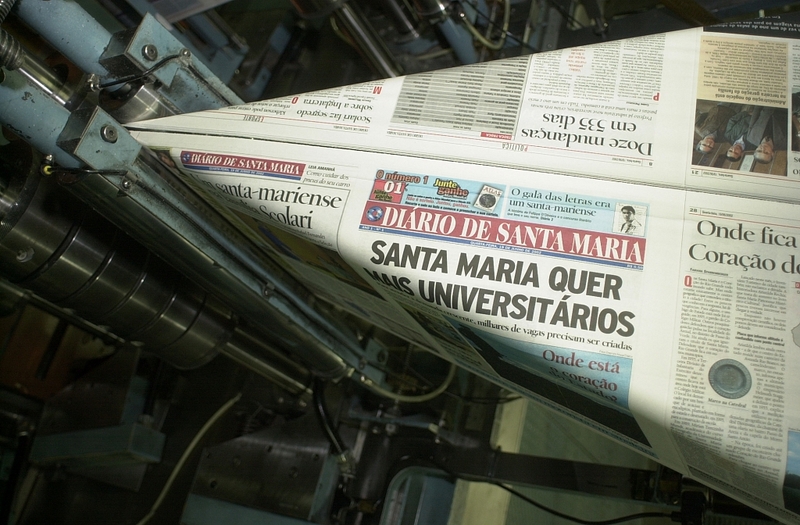 1992 - Blumenau’s Jornal de Santa Catarina newspaper is acquired by RBS. 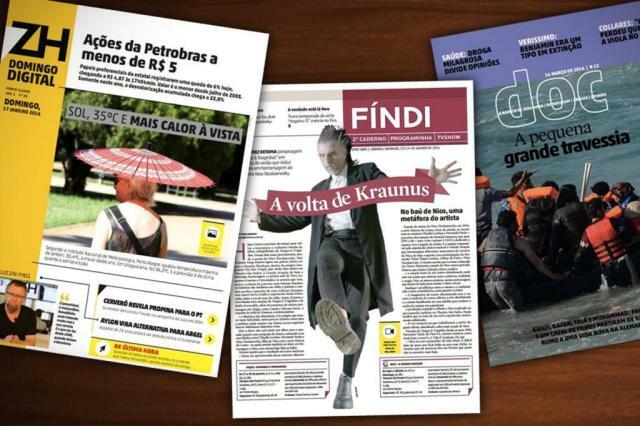 1993 - RBS incorporates Pioneiro newspaper, from Caxias do Sul. 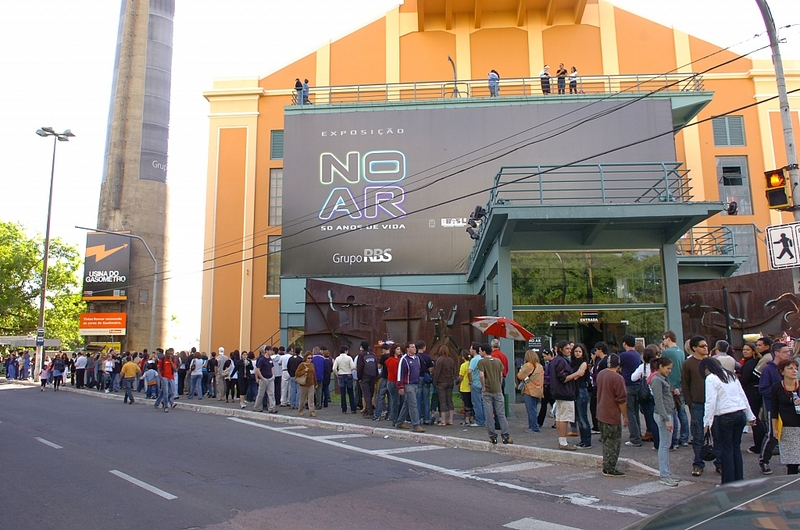 1995 - TVCOM is launched with a cocktail party at Usina do Gasômetro. 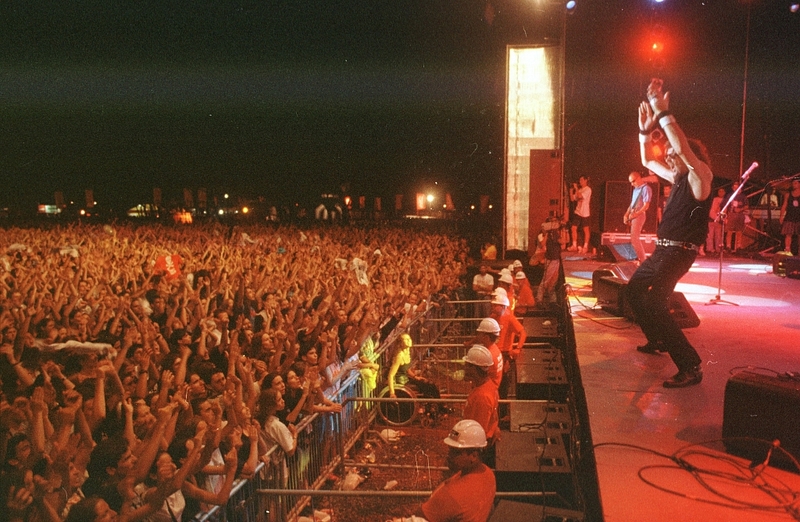 1996 - Planeta Atlântida music festival first edition takes place in RIo Grande do Sul. 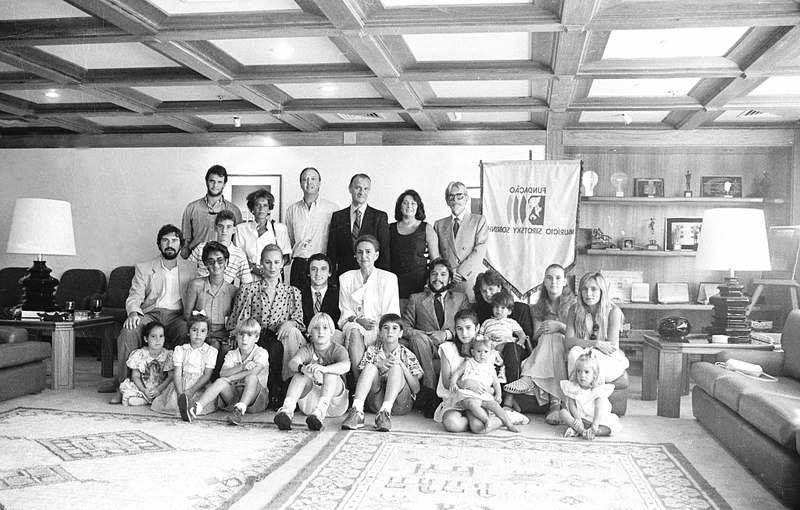 1996 - Canal Rural, an agriculture oriented TV Channel, is released. 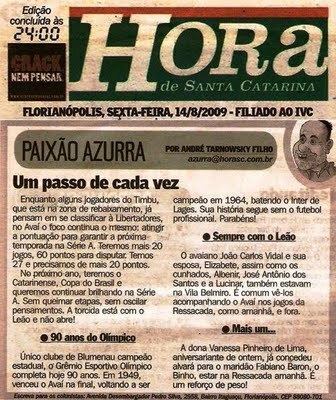 2000 - Diário Gaúcho is released. 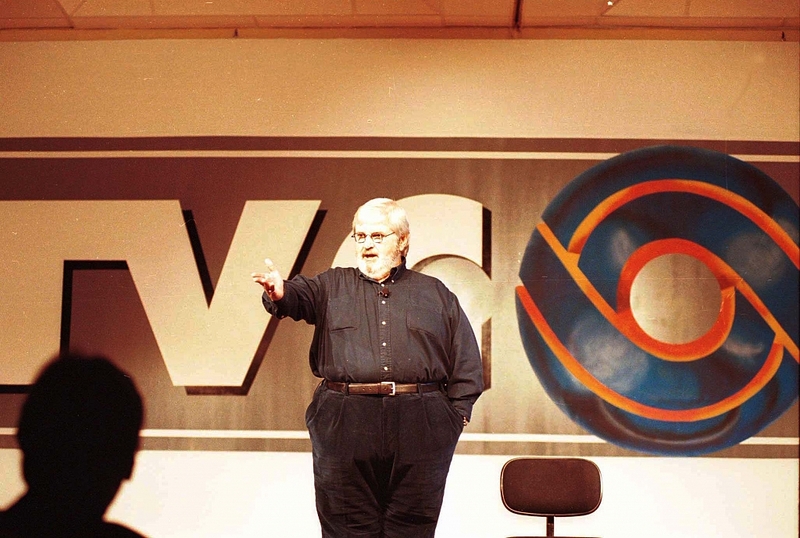 Jô Soares presents a concert in TVCOM Santa Catarina. 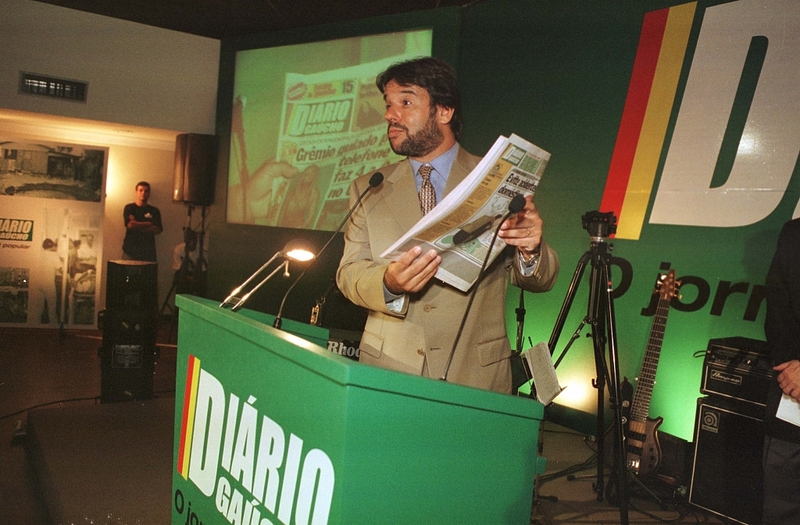 2002 - Diário de Santa Maria newspaper is released. 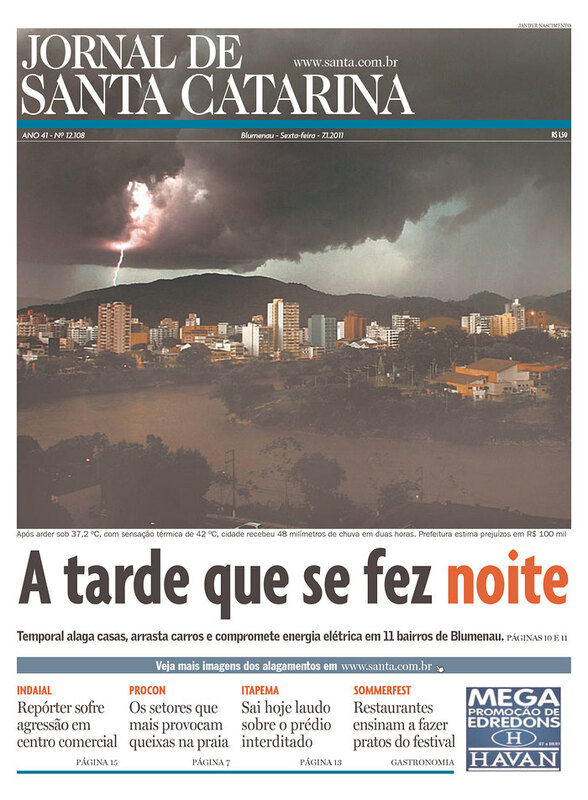 2006 - Hora de Santa Catarina newspaper is released. 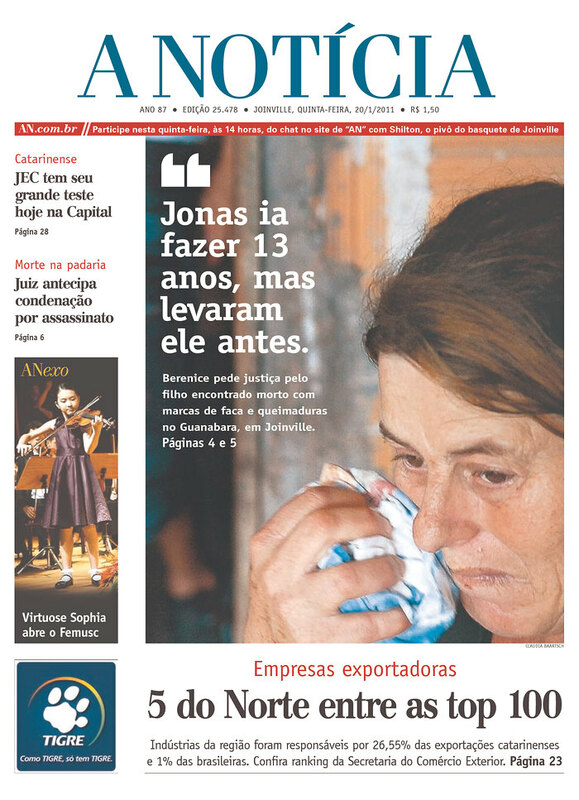 2006 - A Notícia newspaper, from Joinville, Santa Catarina, is incorporated to RBS. 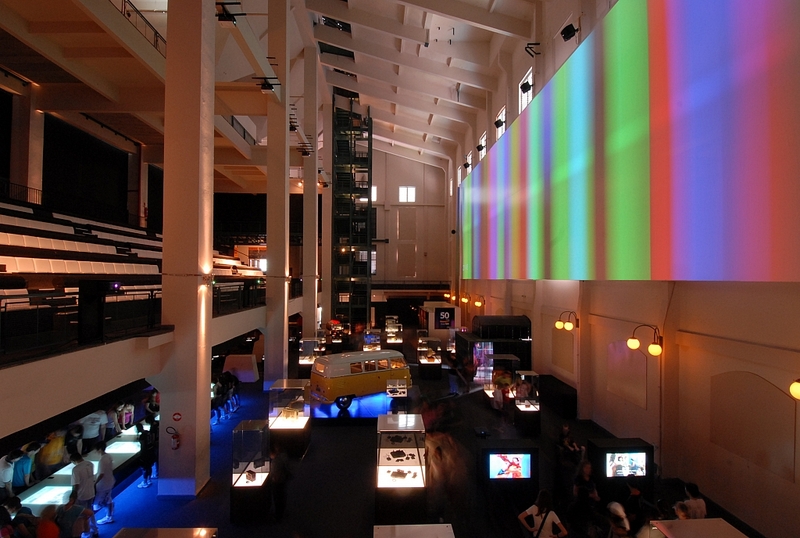 2007 - The interactive exhibit “50 years on air”, at Usina do Gasômetro, celebrates Grupo RBS’s 50 years of history. 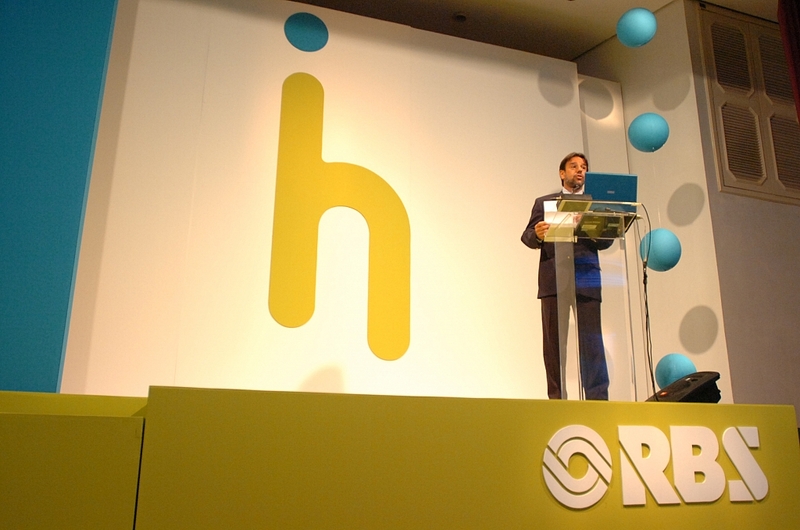 2007 - The establishments mapping service Hagah is released. 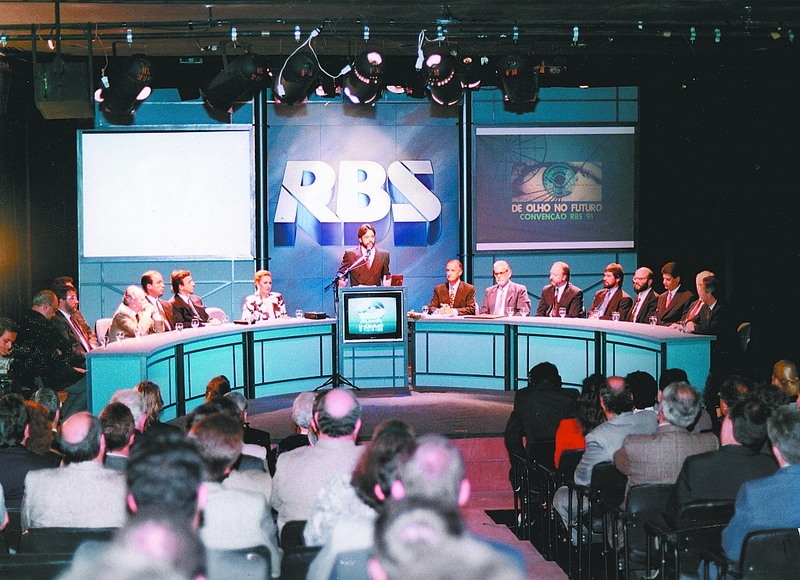 2007 - RBS TV starts to transmit digital signal. 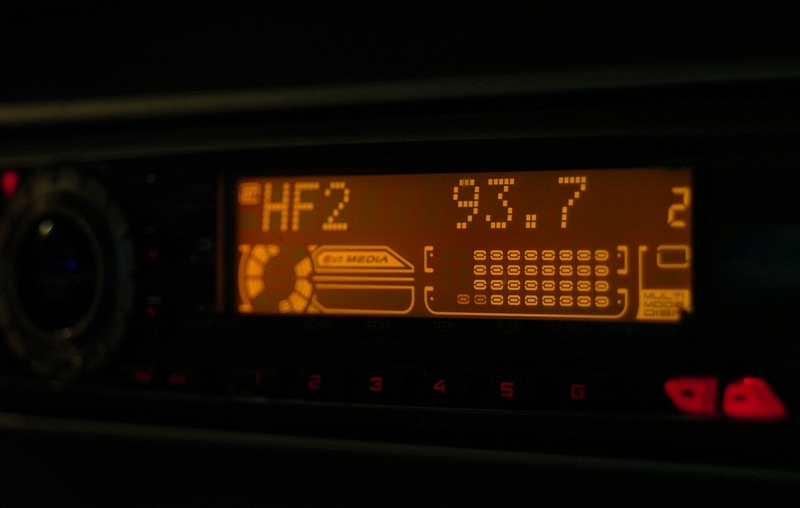 2007 - Rádio Gaúcha is aired also in FM waves. 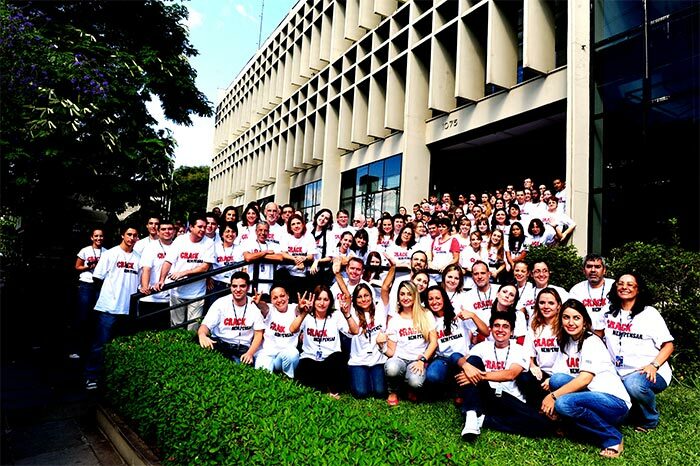 2009 - Coworkers celebrate the 30 years of Grupo RBS in Santa Catarina. 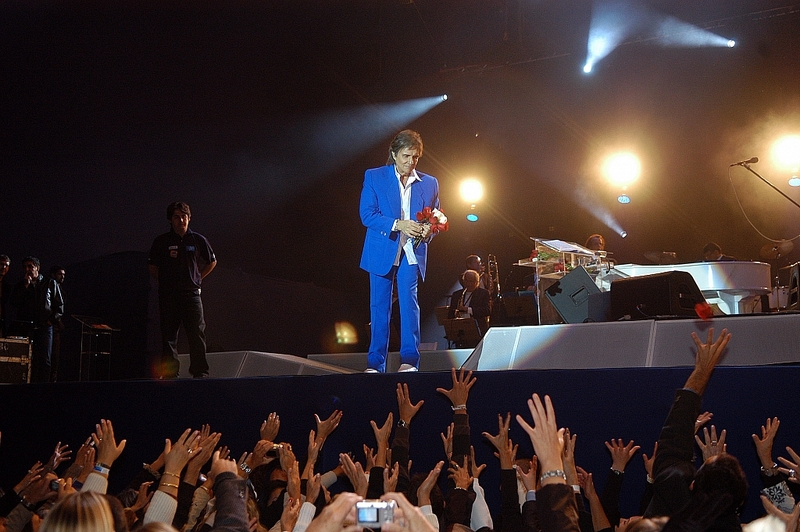 2009 - Brazilian music icon Roberto Carlos sings in the 30 years celebration of Grupo RBS in Santa Catarina. 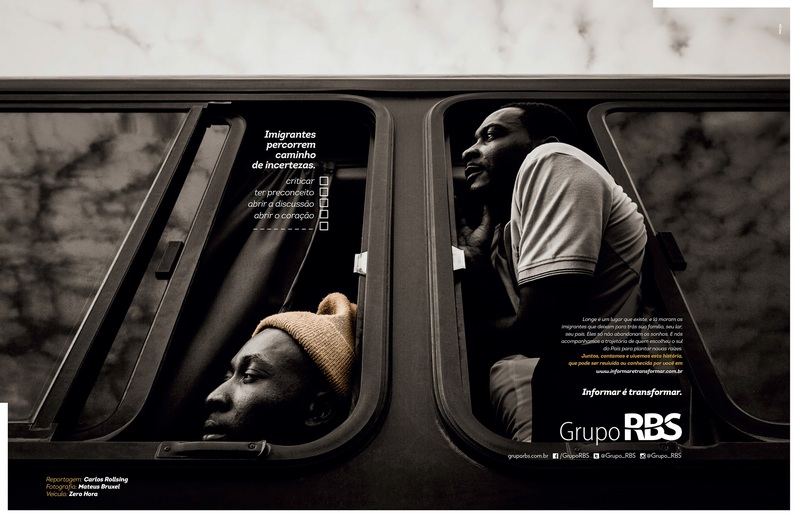 2009 - RBS releases the “Crack, no way” (Crack, nem pensar) campaign to raise awareness of crack addiction in Brazil. 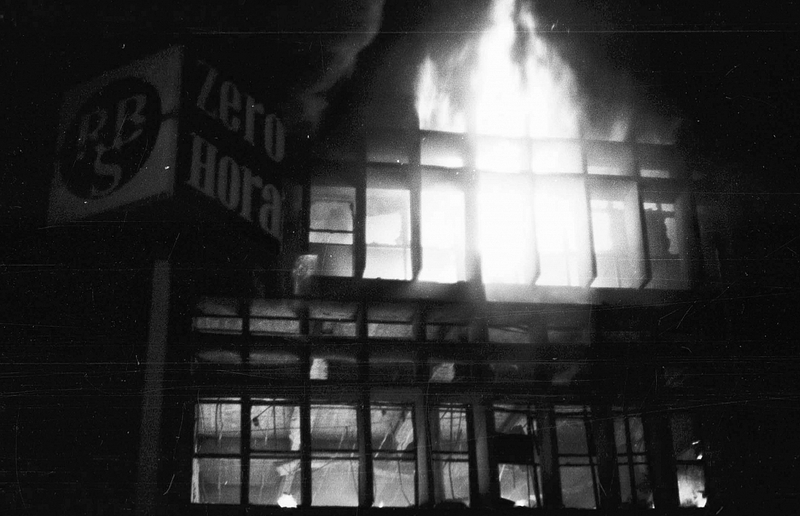 Pictured: journalists in the Zero Hora newsroom. 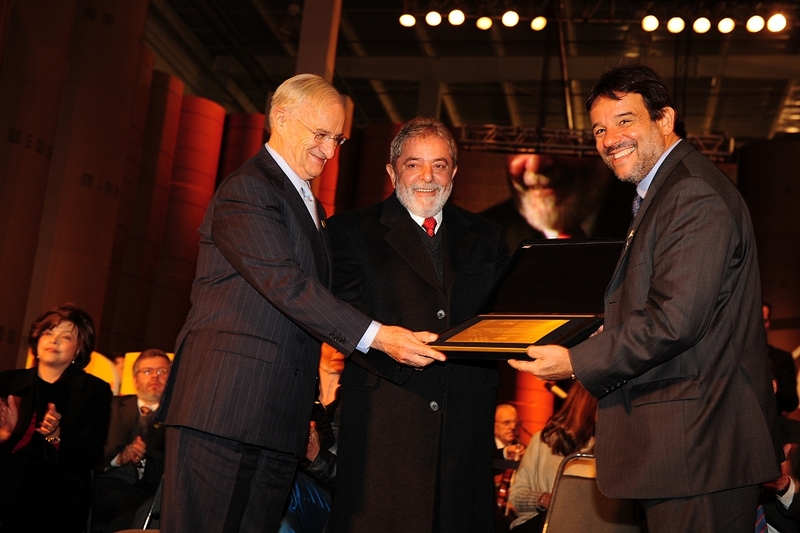 2009 - The Jayme Sirotsky print park, in Porto Alegre, is inaugurated. 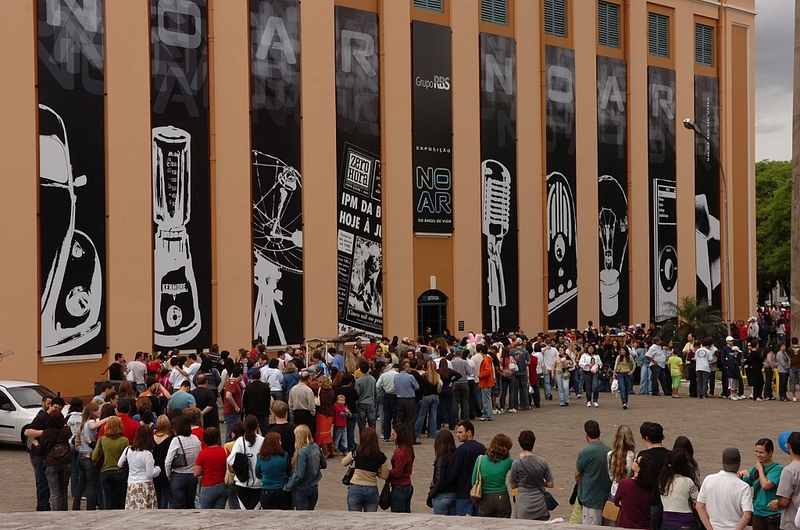 2010 - The “Crack, no way” Institute is inaugurated. 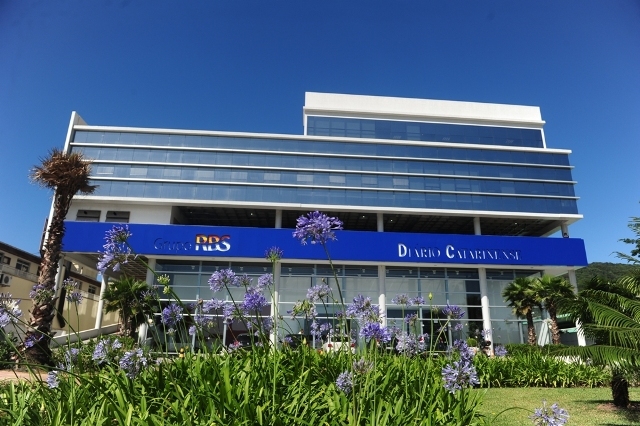 2011 - The new headquarters of Grupo RBS in Florianópolis, Santa Catarina, are inaugurated. 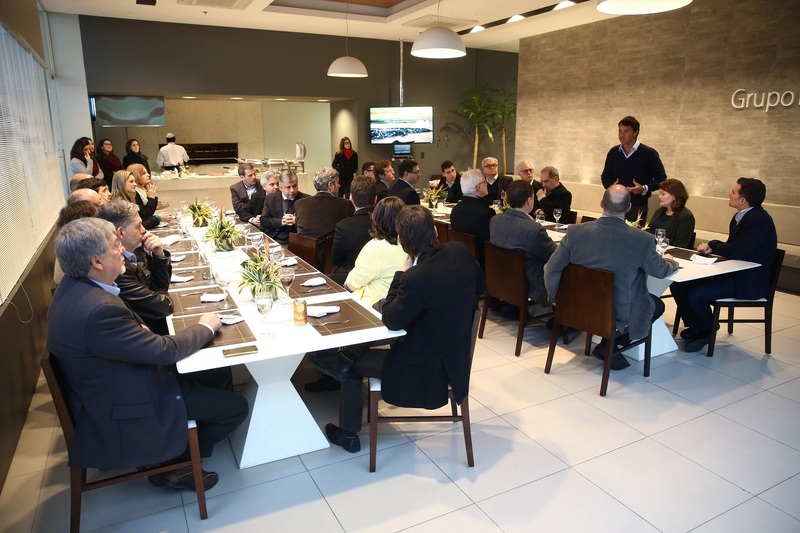 2011 - Inauguration of the Digital Product Development Unit at Tecnopuc at Pontifical Catholic University of Rio Grande do Sul (Pontifícia Universidade Católica do Rio Grande do Sul, PUCRS). 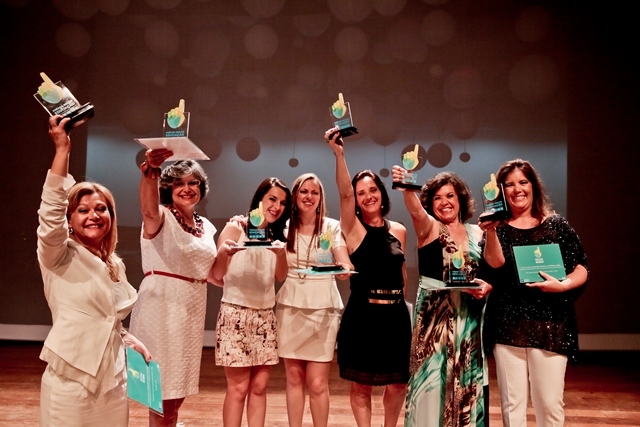 2011 - RBS Eventos is released. 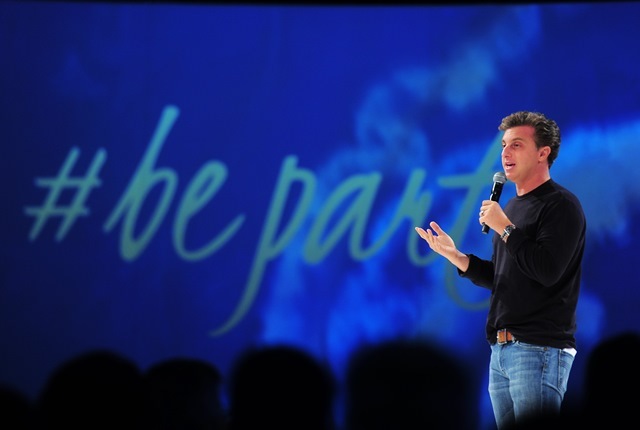 2012 - Eduardo Sirotsky Melzer takes place as executive president of Grupo RBS. 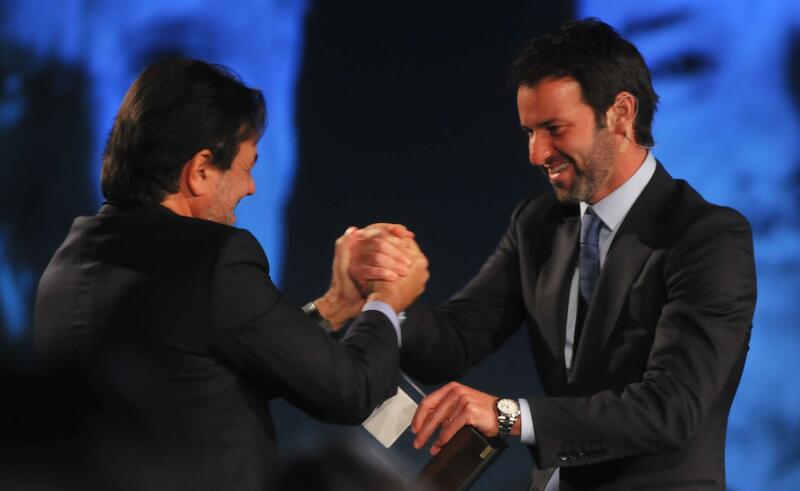 Nelson Sirotsky becomes president of Grupo RBS’s Administration Council. 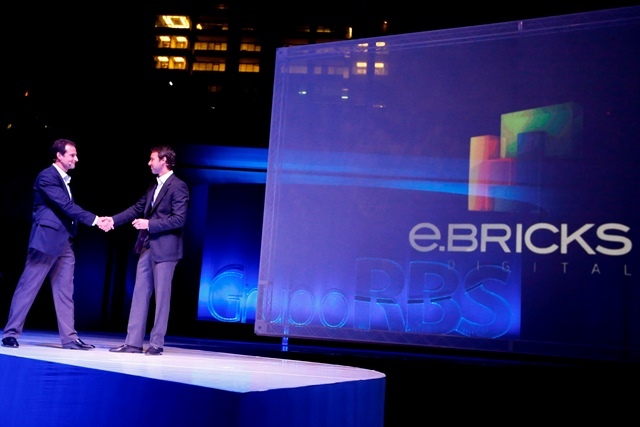 2012 - e.Bricks, Grupo RBS digital enterprise, is released. 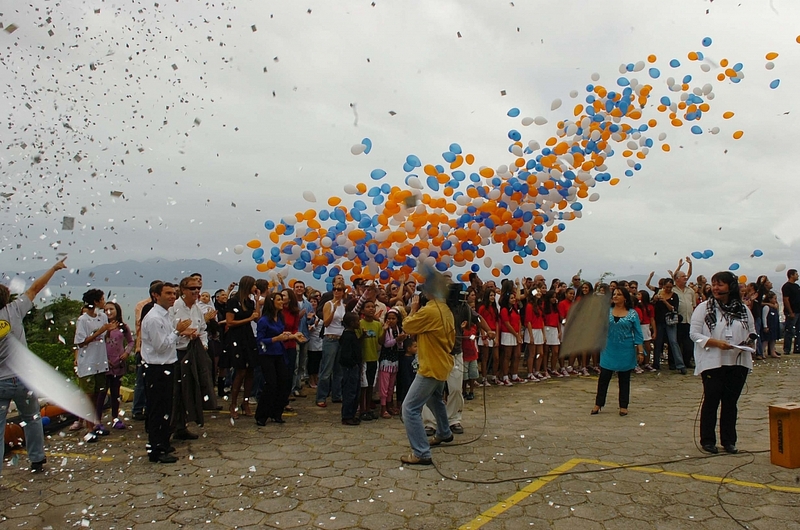 2012 - Rádio Gaucha Santa Maria and Rádio Gaúcha Serra go on air for the first time. 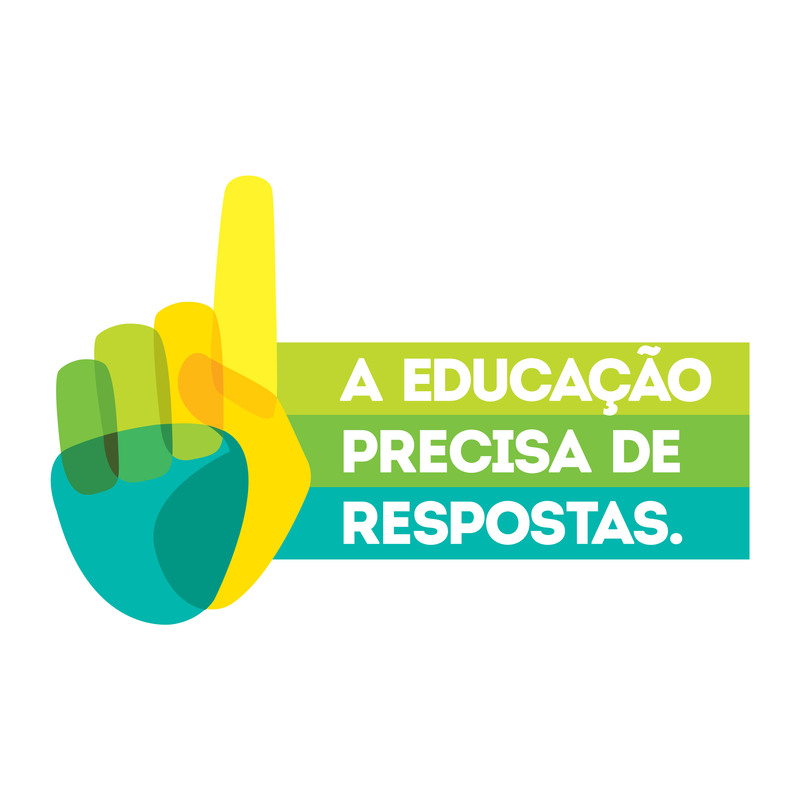 2012 - “Education Needs Answers” campaign is released. 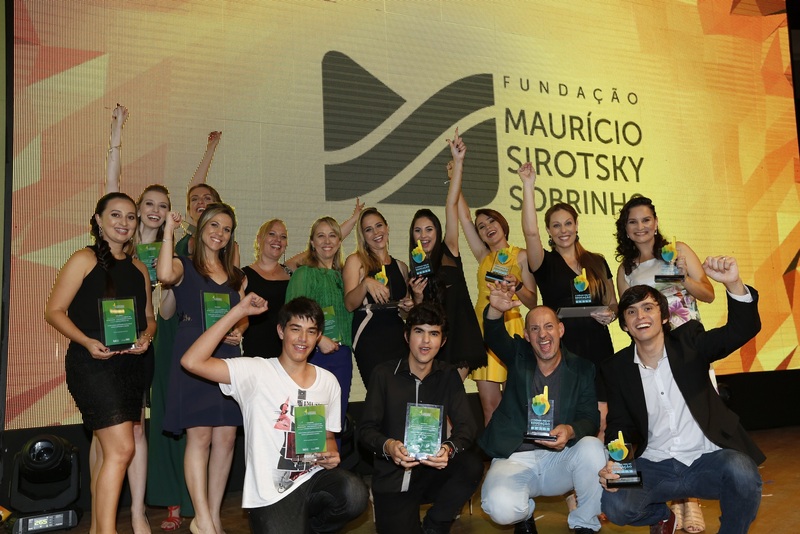 2013 - Maurício Sirostsky Sobrinho’s RBS Education Award is released. 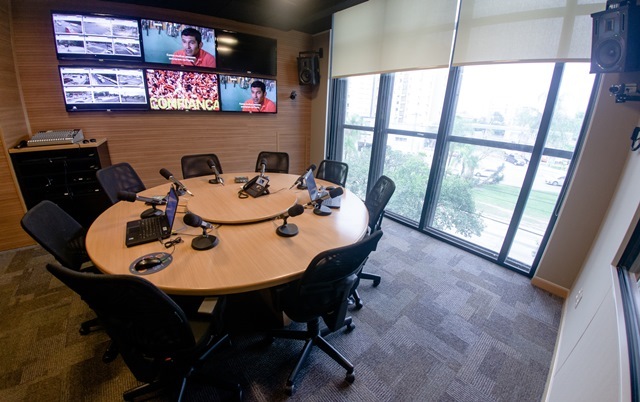 2014 - Rádio Gaúcha inaugurates the most modern radio studio in Latin America. 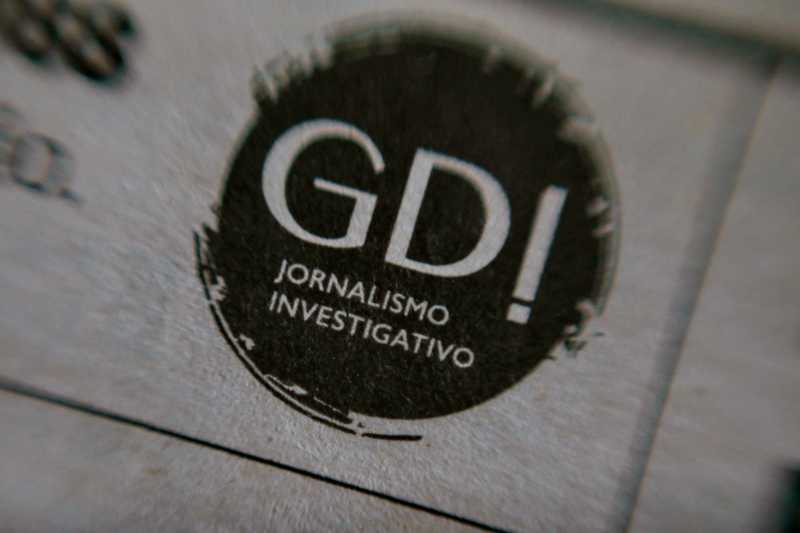 2014 - Grupo RBS presents “The Communication (R)Evolution”, a documental project about the future of communications. 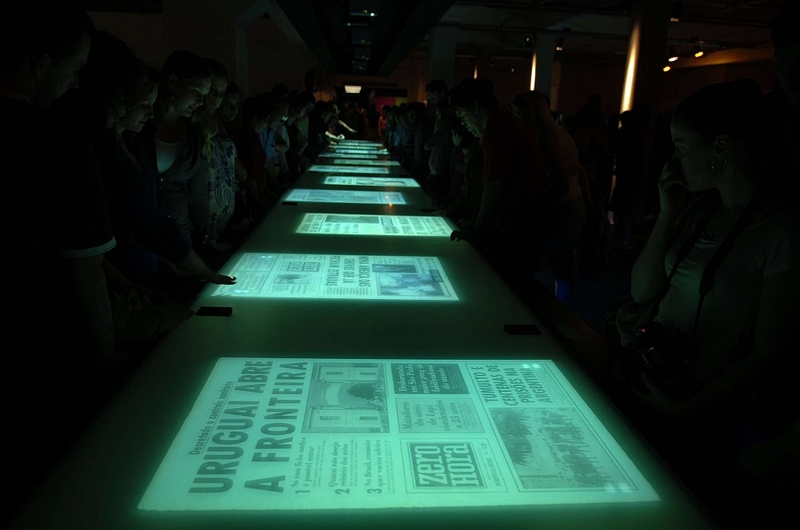 2014 - VOX, an event that stimulates reflections about communication through content share and experiences, is released. 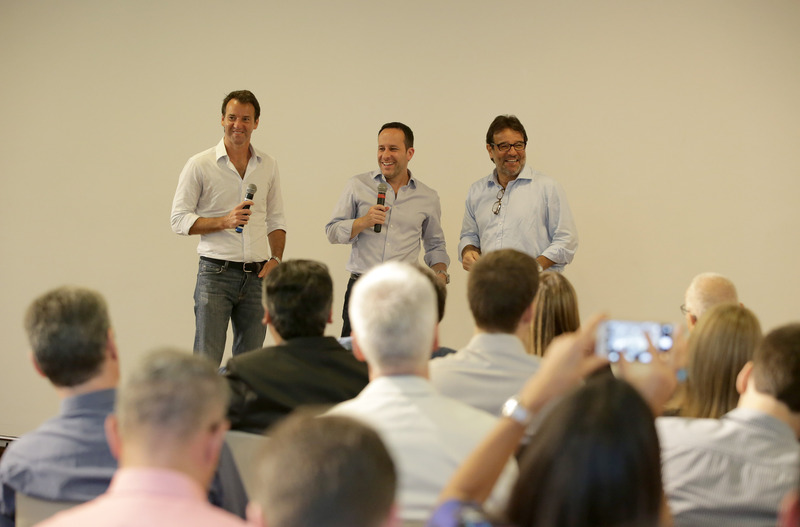 Pictured: TV host Luciano Host, one of the event’s lecturers. 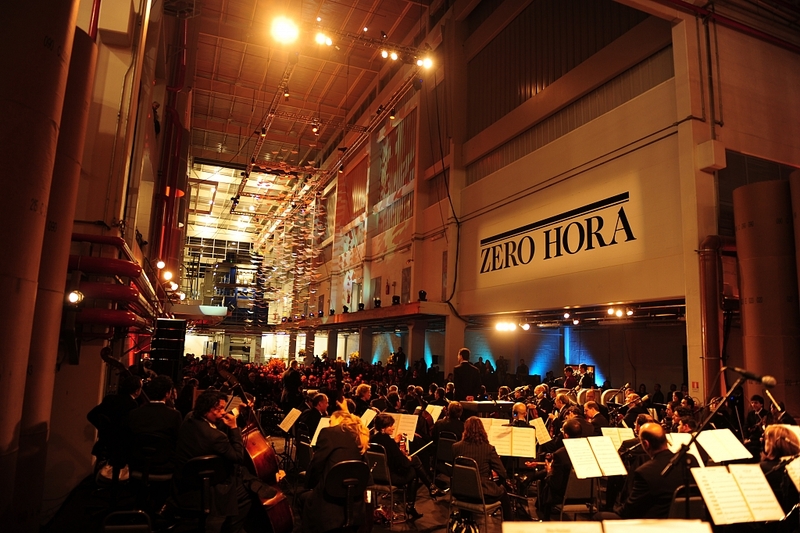 2014 - Zero Hora completes 50 years of age. 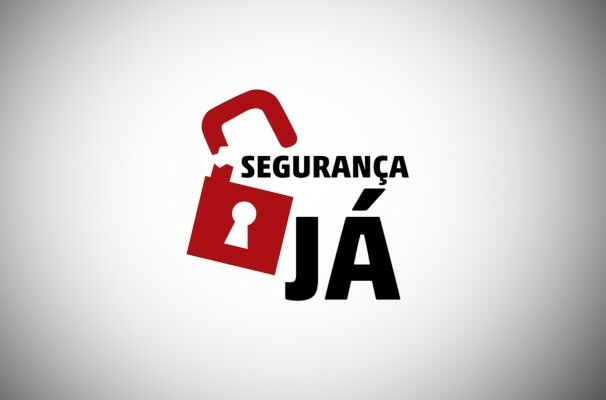 2015 - Rádio Farroupilha goes into FM. 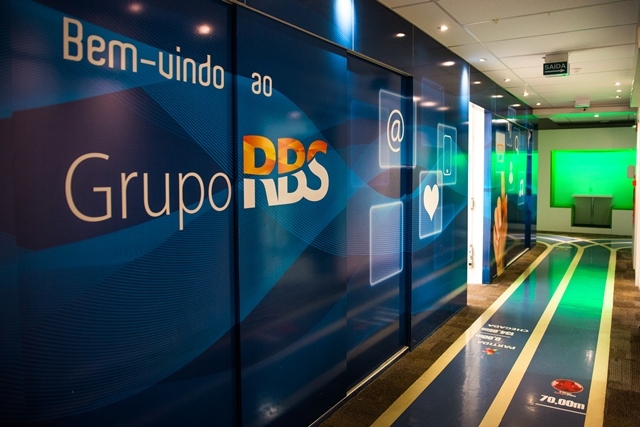 2015 - A new purpose for Grupo RBS is released with the position “to inform is to transform”. 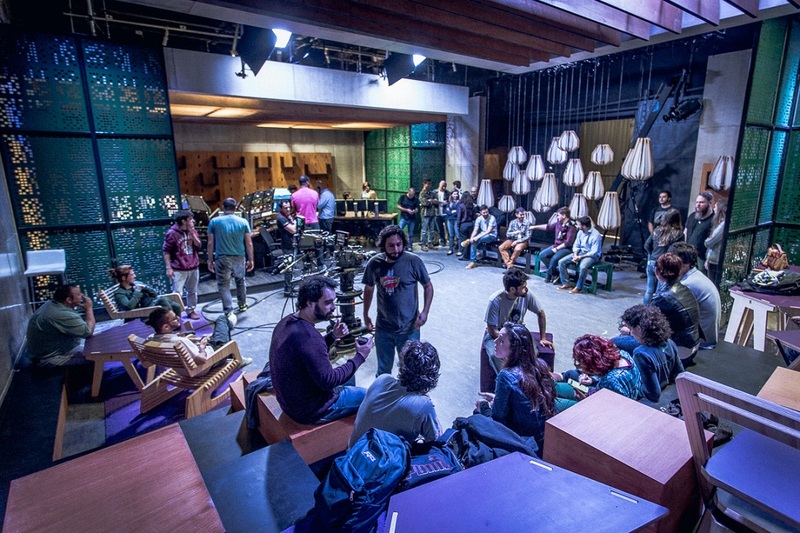 2015 - Octo, a plural TV channel focused in information and entertainment, is released. 2015 - RBS Education Award has its third edition, along with the release of “Logus - The Knowledge Saga” multiplatform game, aimed at students. 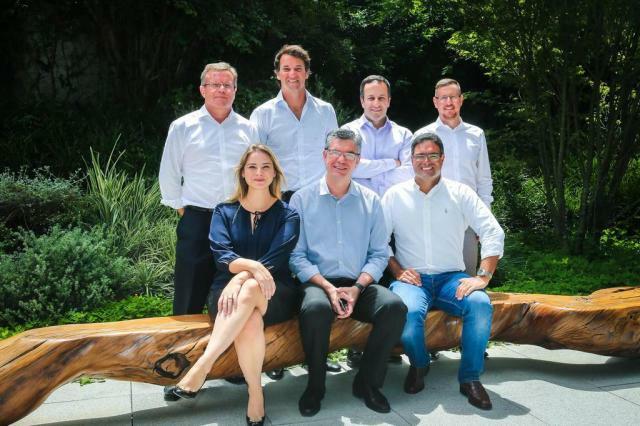 2015 - Changes in the organization’s structure are announced: Eduardo Sirotsky Melzer accumulates the presidency of both Grupo RBS and its Administration Council, and Claudio Toigo Filho takes place as executive president and CEO of media companies. 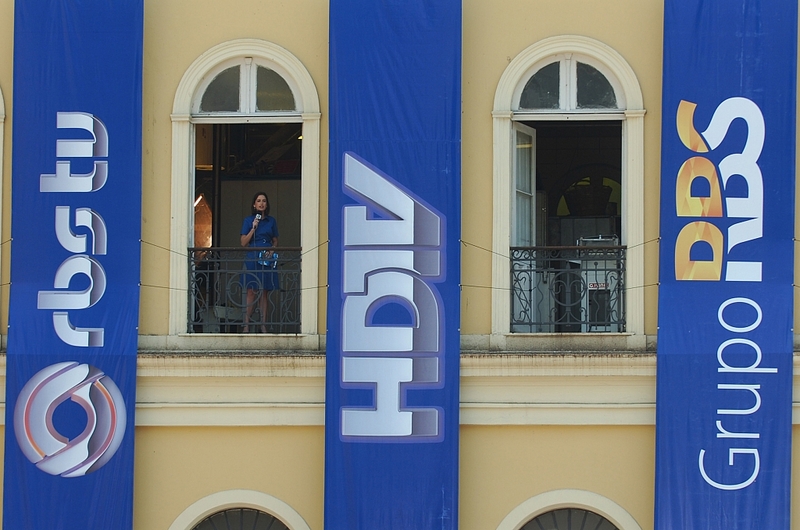 2015 - ZH launches its new placement and reenforces its commitment with the people of Rio Grande do Sul. 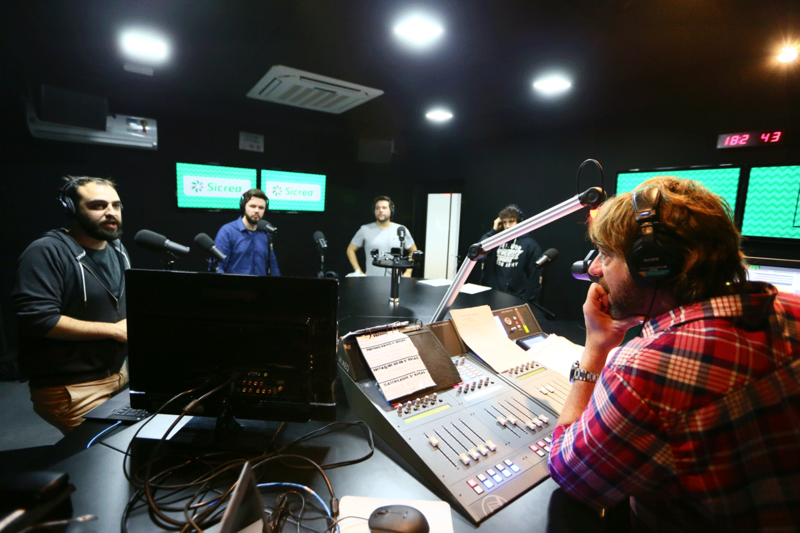 2017 - New studios are built for radios Atlântida, 102.3 and Farroupilha in Ipiranga Avenue, in Porto Alegre.